The previous group, called Unasur, was started in 2008 when many of the founding nations were led by leftist governments. But enthusiasm for the bloc waned under more moderate or conservative successor governments. Eventually, the 12 nations suspended their memberships over leadership differences and partly for Unasur’s failure to take action in crisis-torn Venezuela. 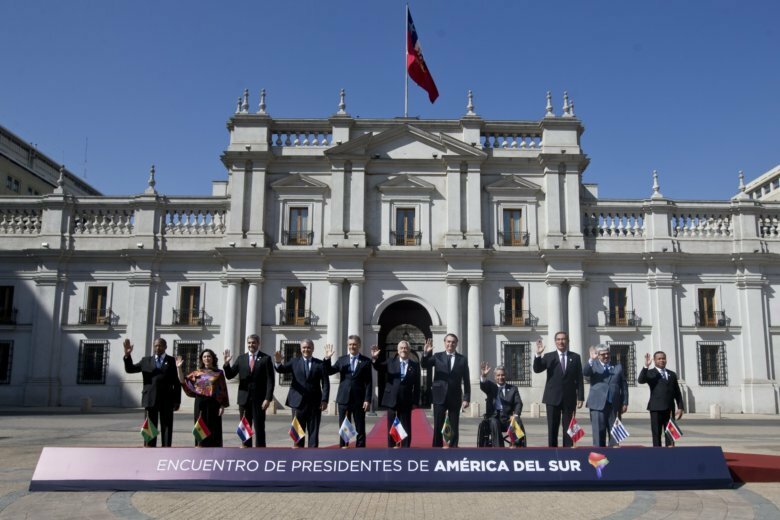 Leaders of the Prosur bloc launched Friday in the Chilean capital of Santiago said the new group will focus on defending democracy and freedom. In their joint declaration, they committed to “renew and strengthen” regional integration under a more flexible and effective framework. Chavez’s successor, President Nicolas Maduro, was not invited to the Prosur meeting. Ecuador was the last country to suspend its membership from Unasur. President Lenin Moreno also asked the bloc to give up its central office near Ecuador’s capital and ordered the removal of a bronze statue at the entrance showing a striding Nestor Kirchner, the late Argentine president and first secretary-general of Unasur. Kirchner’s legacy has been marred by allegations of corruption.